Animal Wildlife | Armadillo | The armadillo is native to both North America and South America, although only one species of Armadillo is found in the United States. The average armadillo measures around 75cm in length, including the tail but the giant armadillo can grow to more than 1.5m long and the miniature pink fairy armadillo (the smallest armadillo species) only gets to around 10cm in length. There are around 20 species of armadillo still existent on the American continent with the nine-banded armadillo being the only species found outside of the South American tropics. 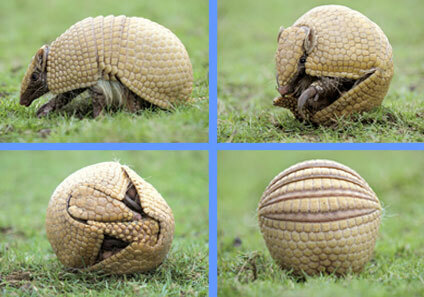 The armadillo has a hard outer shell and can curl up into a ball leaving no soft body parts exposed to danger (a bit like a woodlouse). 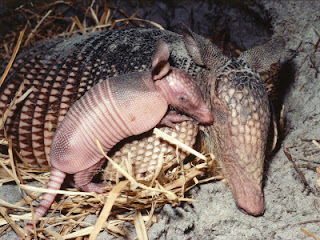 The armadillo also has long claws which the armadillo uses for digging burrows and hunting for insects in the earth. Despite the armadillo\'s odd shape, most armadillos can also reach a top speed of nearly 30 mph so can easily outrun most jungle predators. The primary predators of the armadillo are bears, wolves, wildcats and cougars. 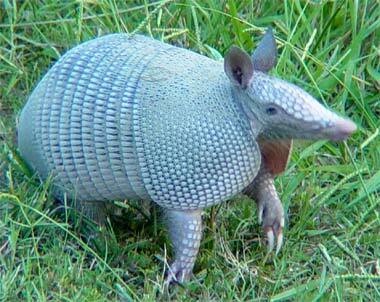 The armadillo has very poor vision which makes the armadillo somewhat vulnerable in its jungle environment. 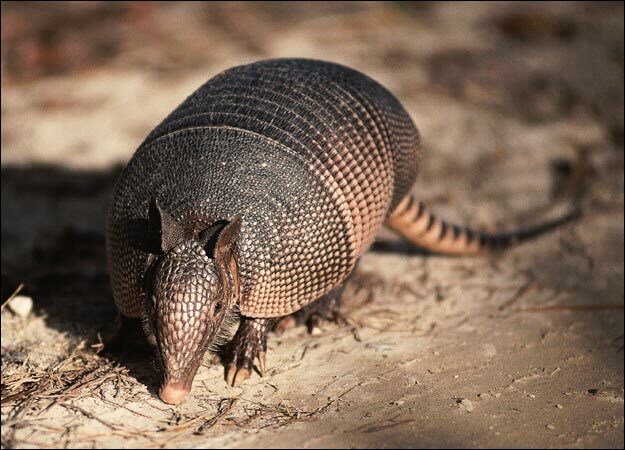 The armadillo's armour is formed by plates of bone covered in relatively small overlapping scales. 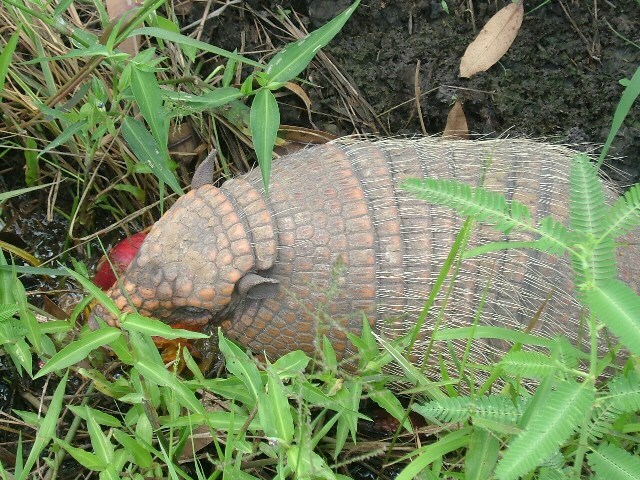 The scales of the armadillo are known as scutes and these scutes are made up of bone with a covering of horn. The armadillo has additional armour that covers the top of its head, the upper parts of the armadillo's limbs and the armadillo's tail. 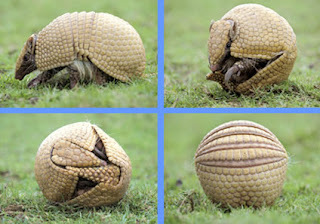 The underside of the armadillo has no armour, and is simply covered with soft skin and fur, hence it's strategy of curling into a ball leaving only the armoured plates exposed.